As we remember from the maps in Asterix books, Brittany is in the northwest tip of France. 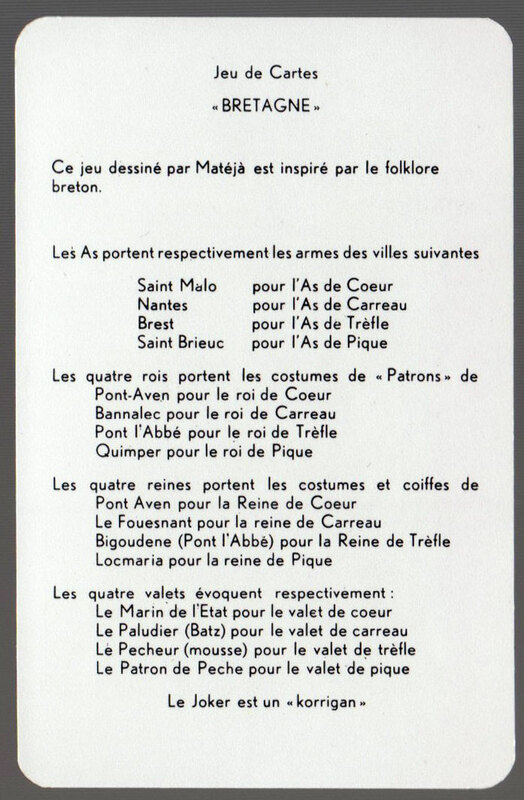 Breton is a Brythonic Celtic language closely related to Cornish and a bit more distantly to Welsh. Bretons are concerned about the decline of their language and traditional way of life. Some customs from pre-Christian tradition are preserved in the folklore of Brittany. 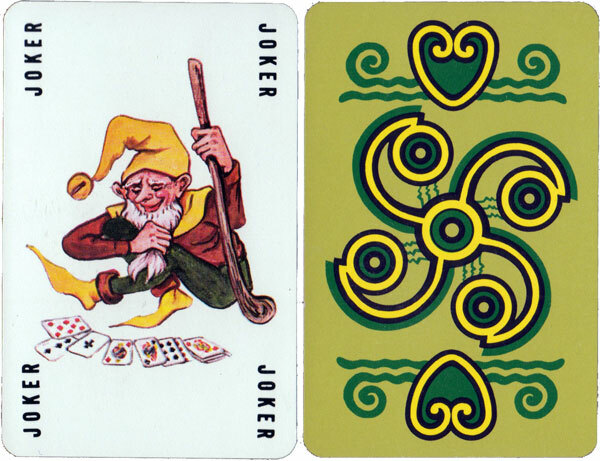 Above: Jeu de Cartes “Bretagne” featuring Breton folklore, manufactured by Carta Mundi. 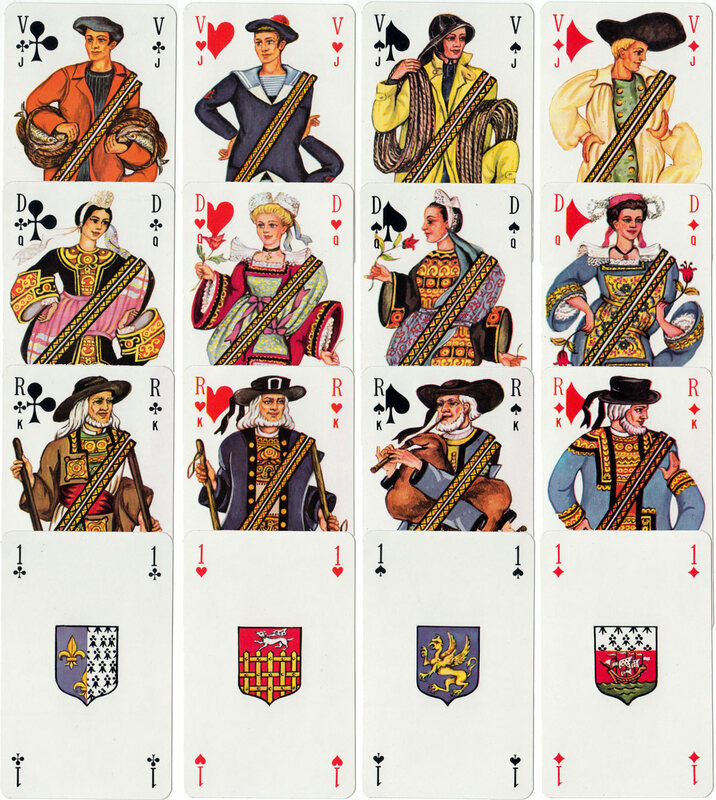 Earlier editions were published in Belgium by Mesmaekers. Images courtesy Rex Pitts.